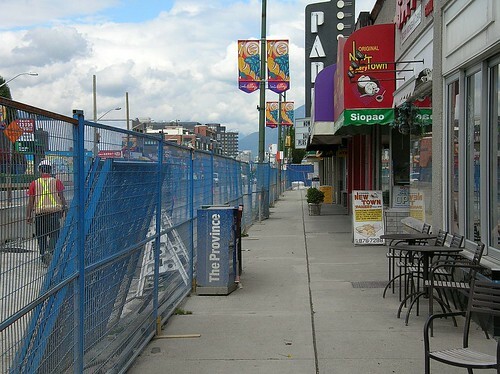 Three Cambie Village merchants have filed a lawsuit against builders of the Canada Line, claiming the rapid-transit project cost them hundreds of thousands of dollars in lost business. The lawsuit, filed Monday, claims the defendants “knowingly and deliberately” harmed area businesses because they wanted to save construction costs by using the cut-and-cover building method. Two things seem to be missing. So far the class action suit has not been certified by the BC Supreme Court. The story is slient about why that might be and what is happening about that process. Secondly the defendants list seems to be a bit short. Originally, the plans for the rapid transit line were for bored tunnel construction, which would have had little impact on area businesses. 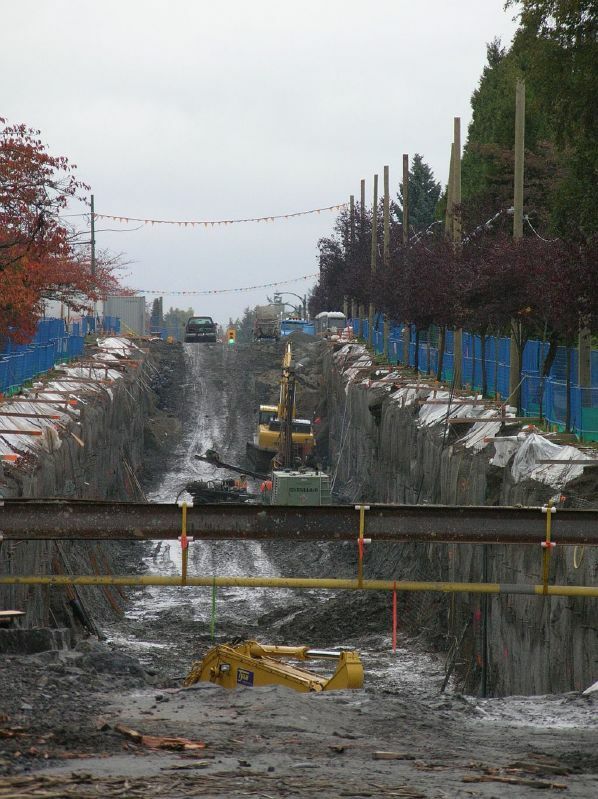 However, that plan was changed to cut-and-cover construction, leaving Cambie Street a gaping trench for years. Now when you claim for damages the important things to note are that the people you calim against must have deep pockets, and you must also show that they were mainly if not wholly responsible. So the decision over the change of buidling method is critical, and that means the responsible parties should include the organsiations that agreed to the change in the specification. Since bored tube was what was in the call for expressions of interest, and was used to slect the winning bidder. That should therefore extend the list of defendants to include both Translink and the province of British Columbia. By the way the pictures are mine. From all the transit consultants and experts I have corresponded with, all said basically the same thing; “Cut-and-cover subway construction is to avoided at all costs because litigation from affected residents and merchants and resulting compensation, add considerable costs to the project. I think Campbell & Co., the City of Vancouver and InTransit BC tried to pull a fast one and now are reaping the consequences. Sad fact is, the transit route just did not warrant a subway and TransLink will soon learn an expensive fact, potential transit customers tend to avoid subways (claustrophobic factor) and left with no other convenient transit alternative, take the car. It’s amazing just how disruptive cut and cover construction is. It never ceases to amaze me.